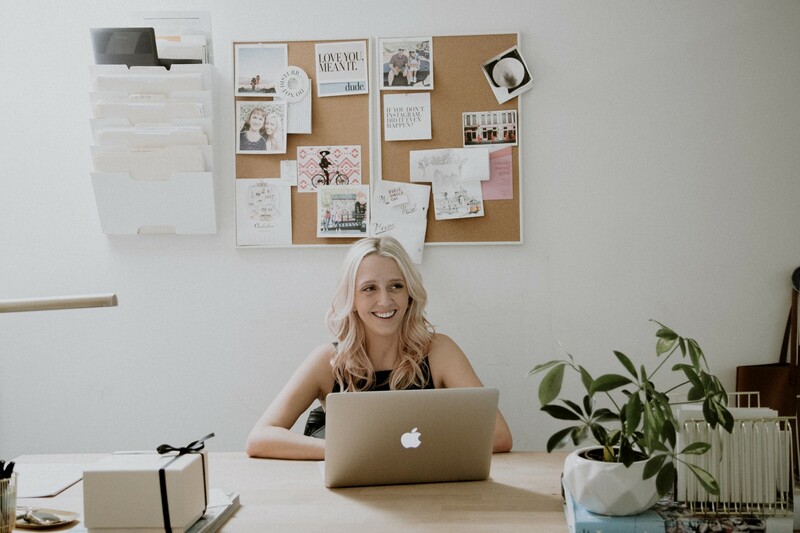 I had the pleasure of interviewing Chelsea Moore, co-founder and CEO of BOXFOX ; a customized approach to the art of gift giving. At age 22, Chelsea recognized a void in the $131b gifting industry and turned a $6k investment into a $3.2m dollar business. Today, BOXFOX has revolutionized the concept of modern gifting by using proprietary software, social media, and refusing to take ‘no’ for an answer. I grew up in Whittier, CA and went to UCLA to study Political Science and English. Throughout college (and a bit of postgrad), I worked at Brandy Melville, which gave me a lot of exposure to retail — from marketing to merchandising. After graduation, I worked in advertising at both Ogilvy & Mather and David & Goliath, where I learned the importance of building a clear, identifiable brand. It was during this first year out of school that Jenni, Sabena and I came up with the idea for BOXFOX on a kitchen table in Venice, CA. I quit my job in June of 2014 to pursue BOXFOX full time. The concept for BOXFOX came out of a deeply personal need validated by a huge market opportunity. After college, myself and my co-founders found that our once tight-knit communities split up all over the world — everyone was working hard and chasing their dreams. It’s a jarring transition and it became increasingly hard to maintain meaningful relationships for the moments that mattered most — new jobs, engagements, babies, even illnesses. And we continued to ask ourselves: how could we be there for others in a meaningful way even when we couldn’t physically be there? That’s where the idea for BOXFOX was born. Our goal continues to be the go-to for gifting in way that’s personal, presentable and purposeful. We didn’t invent gifting but we’re bringing it into the 21st century. We started BOXFOX because an all-in-one gifting solution simply didn’t exist and we knew we could build one from the ground up. What we built is a service that takes the friction out of gifting — curating the best products under one roof, providing a seamless UX and customer experience, and handling logistics, from handwriting notes to packaging boxes with care to shipping, in a way no one had before. Ultimately, we’re changing the way people gift by making it affordable, accessible, and seamless, allowing our customers follow through on their most thoughtful intentions, every day. My parents, specifically my dad, have been key mentors throughout this journey. I’m constantly inspired by the women disrupting industries all around me — from Alli Webb (Drybar) to Brooklyn Decker (The Finery) to Payal Kadakia (ClassPass) . Their stories and their journeys have taught me so much and have given me the confidence to move forward even during the tough times. Lastly, my co-founders have taught me so much and have always made me feel supported — we’re each other’s greatest asset. We like to say that we’re just getting started. Combining our know-how and the data we’ve gathered in the past 3.5 years, we’ve got huge plans for corporate gifting — reinventing what that looks like for Fortune 500 companies and small businesses alike. We’d also love to offer our customers even more exclusive products and have a brick-and-mortar presence that actually brings our much-loved ecommerce experience to “the real world”. “Don’t worry about what anyone else thinks.” — This is much easier said than done, and to be honest, was advice given to me by my mom in high school, but it has become relevant in ways that far transcend senior prom. To me, it now means that when you’re living from an authentic place and doing things you truly believe in, it becomes easier to keep your vision and conviction clear of outside influences. “Say yes and figure it out later” — Tina Fey — This is something I’ve taken to heart after reading the comedienne’s Bossypants (one of my favorite books and people). It’s helped us navigate big opportunities early on (1500 gifts in 3 days, no problem!) and that core mentality that’s enabled us as founders to grow BOXFOX as quickly has we have. “Don’t take no for an answer.” — When you’re small and self-made, you’re met with a lot of no. Especially from brands we wanted to partner with early on. Our approach was always, “okay, they’ll come around” and they have. 7. What’s a book/podcast/talk that’s had a deep impact on your thinking? I picked up, “Let My People Go Surfing” by Patagonia founder Yvon Chouinard right when we were starting BOXFOX. After years of books, podcasts and articles, that book has provided me with the most guidance and inspiration. I’m no mountain climber and camping isn’t my first choice, but reading about how the reluctant businessman and his crew thoughtfully expanded on a core mission is nothing short of inspiring. As a female founder with primarily female employees, I’m also obsessed with their child care program and how we as a nation are going to figure out better childcare and getting more women up the ladder. 8. Is there a person in the world, or in the US whom you would love to have a private breakfast or lunch with? Please share whom and why? There’s plenty of people I would love to lunch and learn from, but the top pick for me would be Melinda Gates. The philanthropic efforts she’s involved in are unparalleled and learning about the granularities of making philanthropy work on such a widespread scale would be of great interest to me. 9. How can our readers follow you on social media? They can find us on instagram at @shopBOXFOX and me at @seymoore.